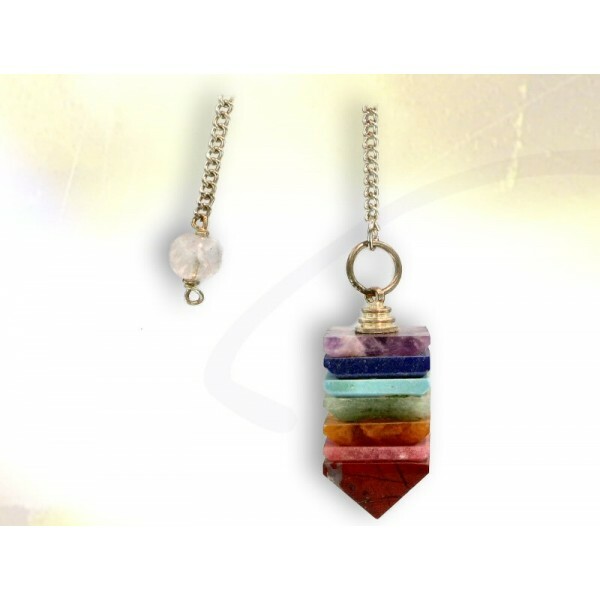 7 CHAKRAS pendulum Genuine stones. This pendulum is supplied with its silver plated chain ending with a rock crystal sphere (comfortable grasp). 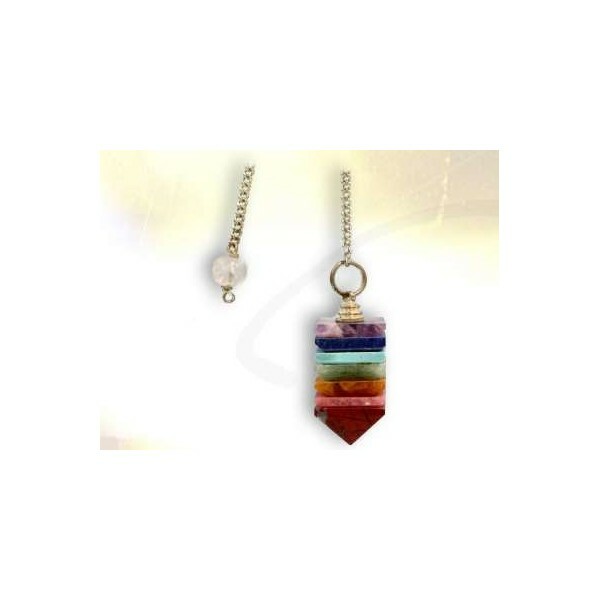 7 stones 25 mm high _ square section 12 X 12 mm _ pendulum weight 7 gr. _ total weight with chain 8.30 gr. Supplied with a suede cloth pouch.